Experience in countries with established bio-waste recycling shows that the first and preferred option for bio-waste recycling shall be compost production. Compost production is relatively easy and cost-effective to implement at local, regional or supra regional level. Compost production can go hand in hand with production of biogas, i.e. via processes of anaerobic digestion, if organic material with high biogas-potential is available. This could increase the economic value generated per tonne of bio-waste. Once a composting and anaerobic digestion infrastructure has been established, this provides a solid basis of bio-waste management, to which novel technologies can be coupled. Examples include biorefinery processes in which bio-waste serves as a source of bio-based chemicals, fibres and nutrients. 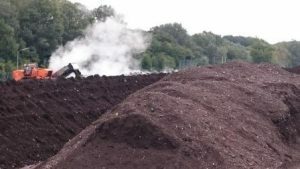 In future biorefinery and other technologies could be developed in conjunction with existing composting and anaerobic digestion infrastructure. This is necessarily as only a limited percentage of heterogeneous bio-waste will technically be suitable for the production of high value products such as bioplastics, biochemical and bio-based materials. The remaining part of organic residues respectively will still be turned into compost and digestate products, thus closing biological cycles and improving soil quality and health.